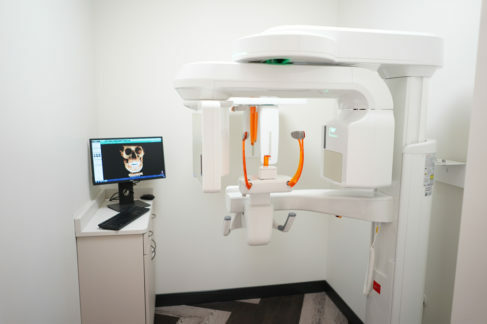 Cone Beam Computed Tomography (CBCT) is one of the latest technologies in the dental field. Simply stated, it is a 3-dimensional x-ray taken of the area of interest similar to but with much less radiation than a CT scan. Cone beam x-rays are incredibly helpful in diagnosis of advanced cases for which a traditional 2-dimensional x-ray may be of limited value. Common examples include impacted teeth, cases requiring jaw surgery, jaw joint (TMJ) diagnosis and airway analysis. Being able to “see” everything in all three planes allows us to formulate a more predictable and more efficient treatment plan. It can also be used by dentists and other dental specialists to plan for their procedures as well. Our Green CT unit produces high quality 3D x-rays with low radiation doses without compromising the quality of images. We take your child’s health and yours seriously, for this reason we take x-rays only as needed. 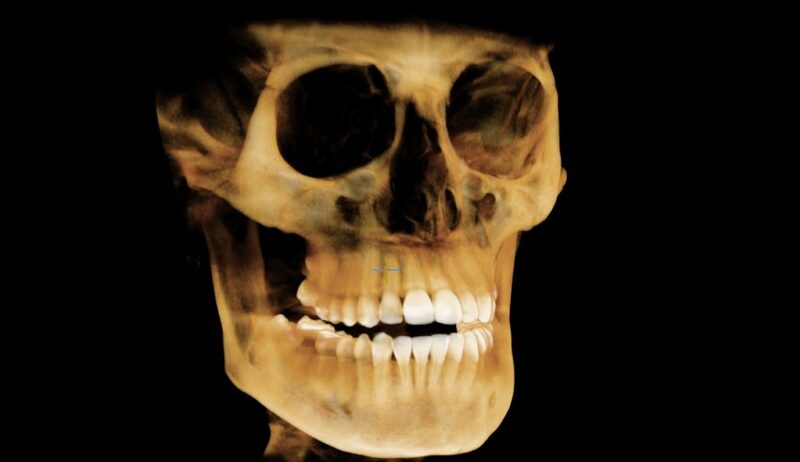 Traditional x-rays taken at most dental offices are merely a 2-dimensional representation of a 3-dimensional reality. Seeing all teeth and oral structures in 3-dimensions is not only helpful but also necessary in certain cases.